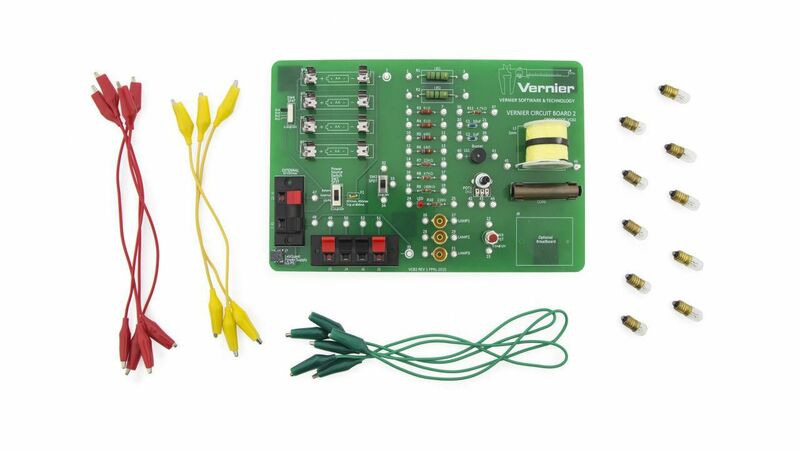 The Vernier Circuit Board 2 is a basic electricity lab on a board. The turret terminals for every component make it easy to connect basic series and parallel circuits, examine the behavior of different components, and investigate RLC circuits. The Vernier Circuit Board 2 includes 10 bulbs, a resettable fuse, three powering options, 10 alligator clip leads, terminal clips to add components, and pre-installed components.